I love the detox mask and am going to sit and have a pamper with it this weekend. I also love the nail separators – I don’t think I’ve had any since I was a teenager but they are brilliant for doing pedicures in a hurry. 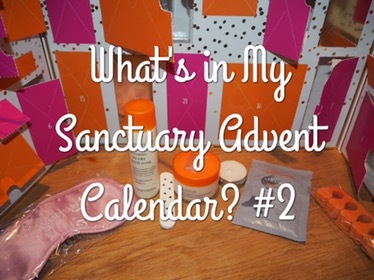 I’m so excited to open the last week and a bit of my Sanctuary Advent Calendar! Do you have a beauty advent calendar? What’s been your favourite product so far?